Pink Floyd’s music, apart from one or two well-worn standards, is too complex and diverse to be easily recreated in a local context, so to set out to do so is quite audacious. Durban band Templar Funk are building a reputation for audacity. Nonetheless, in this case they’ve called in some distinguished friends to lend a hand. The show has played to sold-out performances in Durban, Richards Bay and Ramsgate. Templar Funk is a three-piece rock band, consisting of Neil Ford, Steven Squier and Ross Tapson. They form the core of the line-up that will be doing the show, which is Dulcie Erasmus (keyboards/vocals); Neil Ford (bass); Grant Halliday (drums); Steven Squier (guitar/vocals); Ross Tapson (guitar/vocals) and Martin Sigamoney (saxophone). 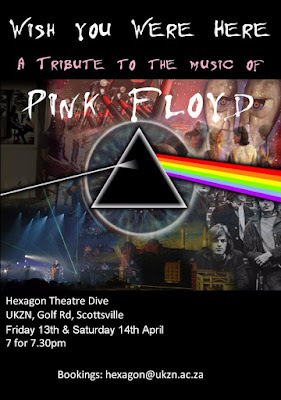 The show explores aspects of the Pink Floyd repertoire that haven’t been extensively covered, even by Pink Floyd themselves, so fans can expect to hear well-loved classics that they may never have heard performed live before. The albums Wish You Were Here and Momentary Lapse of Reason inform the particular highlights of the evening. 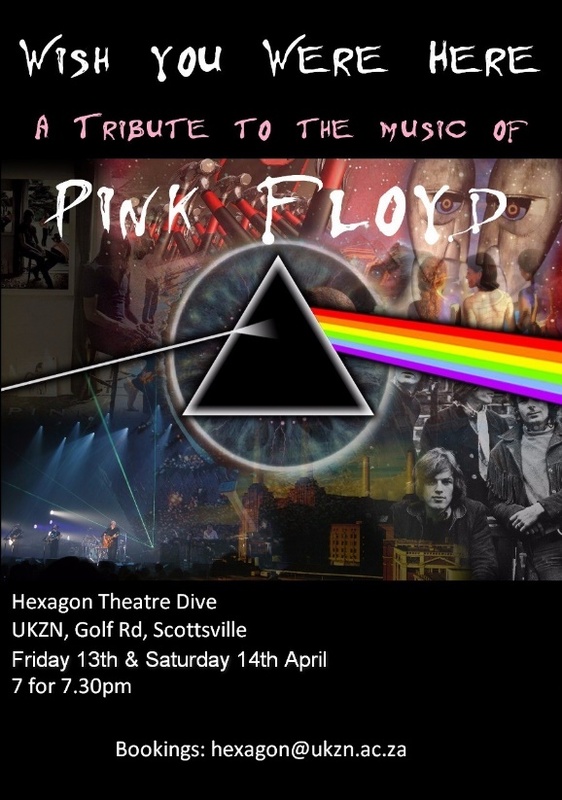 Performances take place on April 13 and 14 at 19h00 for 19h30. Tickets R120 and tables seat 10, but bookings can be for less. These are picnic evenings – bring your food, but no drinks, as there is a cash bar.